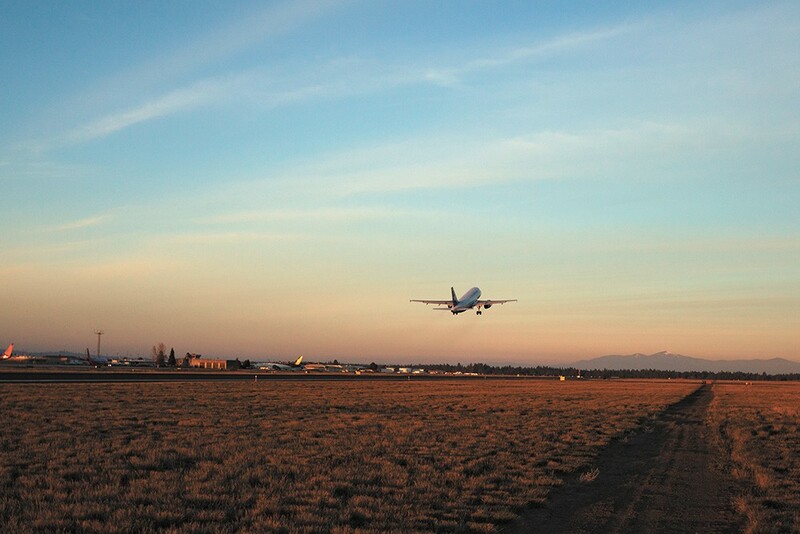 From Spokane International Airport, you can fly direct to 16 destinations. I know, I know. Why would you ever want to leave Spokane? But you can't truly appreciate the wonders of Spokane until you experience the rest of the world to understand how great Spokane has it in comparison. And lately, Spokane International Airport has made it a lot easier to get to other cities without needing to spend most of your time transferring from one plane to another. Today, Spokane International Airport offers nonstop flights to 16 different cities. "We've come out of the recession strong in the last couple of years," Spokane airport spokesman Todd Woodard says. Some of that has to do with airlines acquiring new medium-sized planes. But a lot of that also has to do with personal pitches made by the airport to the airlines. "You bring in airlines for familiarization tours," Woodard says. "It's ongoing sharing of opportunities that are out there." He might point to the new buildings being built on the West Plains or the encouraging signs for the health care sector in Spokane. Or, in the case of convincing American Airlines to add a direct Spokane-to-Dallas flight, it meant bringing in the Spokane Indians. The Texas Rangers are the major league affiliate of Spokane's minor league baseball team, the Spokane Indians. "Our Spokane Indian players are actually employees of the Texas Rangers," says Andy Billig, co-owner of the Indians. "We've been with them for 16 years." The Indians, in other words, do a lot of travel back and forth between Dallas. The Indians wrote a letter of support for the new flight route. The Rangers put four of their Spokane Indians draft picks on the inaugural flight last year. So want to get out of Spokane? Fly to Dallas. The Mariners play the Rangers on Aug. 6, 7 and 8 at Globe Life Park in Arlington, Texas. Rooting for our own Texas Rangers against those west-side Seattle snobs isn't disloyal — it's a civic obligation. When a rodeo's over a century old, you know it's good. With around 60,000 fans, the Snake River Stampede, July 17-21, in Nampa, Idaho, bills itself as one of the nation's biggest rodeo events — featuring everything from bull riding to steer wrestling to something called "ladies' barrel racing." Nampa's too far to reasonably drive. But flights to Boise are cheap and quick. Eating hot dogs has long been considered America's greatest pastime, and the city of Chicago is so proud of their unique hot dogs — topped with mustard, onions, relish, tomato slices and peppers — they hold an entire festival for it, Aug. 10-12. United flies directly there. Smuggle in your own ketchup packets, if you dare. Save time, and fly to Seattle. 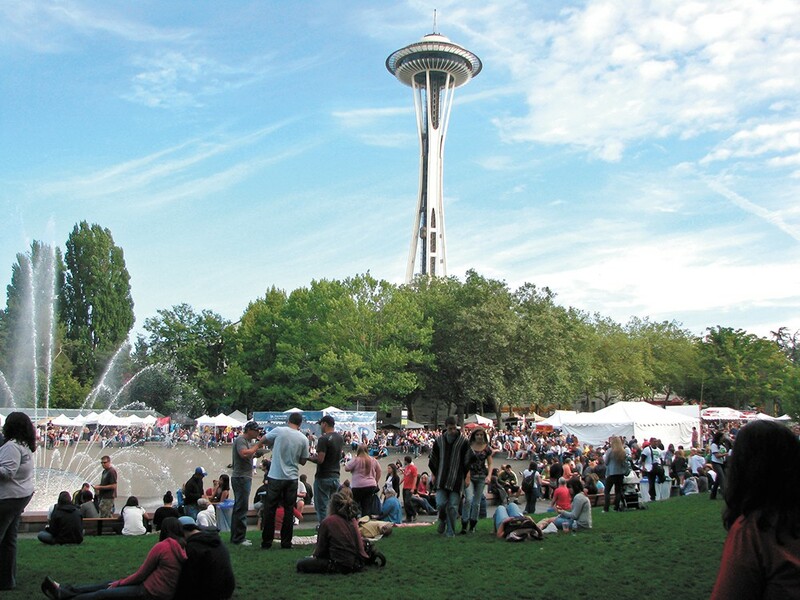 Cap off the end of summer by flying to Seattle's long-running music festival. Bumbershoot, Aug. 31 through Sept. 2, features a ludicrous variety of acts, including, well, Ludacris. There's everyone from Lil' Wayne to T-Pain, from the Fleet Foxes to comedian Eugene Mirman from Bob's Burgers. Blondie (the band, not the long-running Dagwood Bumstead-starring comic strip) will also be featured. With nonstop flights to Las Vegas, there's tons of possibilities in taking a quick jaunt to Sin City. You can gamble, of course. You can watch shows like Cirque Du Soleil or the new Marilyn! musical. Or you can meet the love of your life and get married at one of the many, many chapels featuring Elvis impersonators. Vince Vaughn would do it. You can too! Even if you're not a member of the Church of Jesus Christ of Latter-day Saints, this summer is the perfect opportunity to visit the Salt Lake Temple, a crucial site in the history of American religion. While the temple itself is a sacred space closed off to non-Mormons, the surrounding temple square is open for guided tours. Watch the Mormon Tabernacle Choir perform while you're in the area. The Willamette Week, the Inlander-equivalent in Portland, actually holds a block party to celebrate their Best of Portland issue on July 17. Generally, there are food vendors offering free samples, and there's no rule saying that you have to be from Portland to attend. Show them how we party in Spokane. Check out the Oregon Zoo and Powell's Books while you're there. 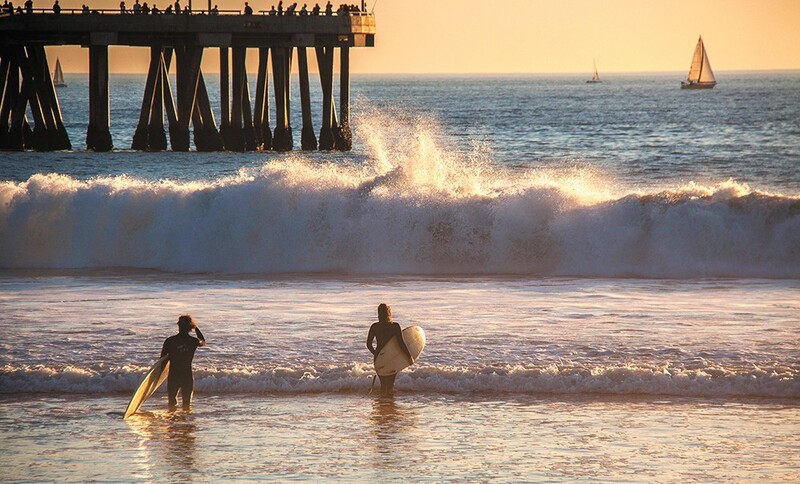 The waves are beckoning you to Venice Beach. If recent Inlander cover art cartoons have whetted your appetite for getting into the world of surfing, Venice Beach in Los Angeles is the perfect place to get your feet wet. Not only do the waves here strike the balance between challenging and inviting, Venice Beach has become a bit more high end of late, meaning you still get the quirkiness of the boardwalk without as much of the griminess. Spokane has a decent craft brewery scene, but if you really want good beer? Like, to drink and brag to your friends about later? Hit up the breweries in Minneapolis, where the craft beer scene is absolutely exploding. Credit a law passed in 2011 that gave breweries an exception from the state's strict liquor laws — allowing breweries to get a license to sell beer on site. And with that freedom came a whole lot of innovation. And fermentation. Hanging out in the Sonoran Desert in Phoenix may be a bit too hot during the day in summer. The solution? Take a flashlight tour at night with Desert Botanical Garden to spot the hundreds of plants that bloom and nocturnal animals that scurry around at night. Just like that one Magic School Bus episode. Just a little Colorado-based wordplay for you. We have fun here at Inlander Summer Guide headquarters. Summit Lake Park is little more than an hour drive from Denver — you'll still need to rent a car after flying into Denver. But as the highest city-operated park in the country, a bit of a drive is worth it. Colorado's love of hiking practically makes it an honorary member of the Pacific Northwest. And Summit Lake's a great place to start. And hey, if you're not into exercise, there's always Casa Bonita. Forget Disneyland. Go to the place that inspired Disneyland — not to mention Frank Oz — in the first place: Children's Fairyland. Children's Fairyland first opened way back in 1950. A place meant for small children, it's filled with adorable sets, gentle rides and pettable animals. Oh, by the way: Children are actually mandatory here. If you don't have a child, you can't get in. Fly into San Francisco, drive down zig-zaggy Lombard Street and then take a ferry to Alcatraz. Best known as the place that Sean Connery broke into to stop Ed Harris in The Rock, Alcatraz Island also once contained one of the country's most inescapable federal prisons. The original print version of this article was headlined "Direct Flights | Summer Guide 2018"